Rep. Paul Ryan is a stand up guy, but has been too willing to compromise on some key issues. Compromise is something that sounds good, but can get you into trouble. Republicans (well most) want to cut the size and power of government. Democrats want to expand it. The compromise always seems to be to grow government a little slower. That will lead to disaster. Eventually, the government will have all our money and property. We will be left with few if any rights. It's kind of like having cancer. Growing the cancer slower isn't a good long-term prospect for a cancer patient if they have any other choice. Eventually, they will be dead. Wisconsin Rep. Paul Ryan is a no-go for 2016. The 2012 Republican vice presidential nominee announced Monday that he will not run for the White House. Ryan’s news comes just days after Mitt Romney, his running mate, made clear he may run again. 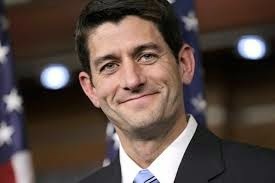 “I have decided that I am not going to run for president in 2016,” Ryan told NBC News on Monday. “It is amazing the amount of encouragement I have gotten from people – from friends and supporters – but I feel like I am in a position to make a big difference where I am and I want to do that,” Ryan said.